A man who headbutted a supermarket manager after he was asked to move his car from outside the store has escaped going to jail. Owen McDonagh viciously assaulted the manager of the Aldi store in Letterkenny, Co Donegal. Letterkenny District Court heard Sean Cafferkey asked McDonagh to move his car from outside his business because it was inconveniencing his customers. However, when he approached McDonagh, the accused responded by lunging at him with his head and breaking his nose. 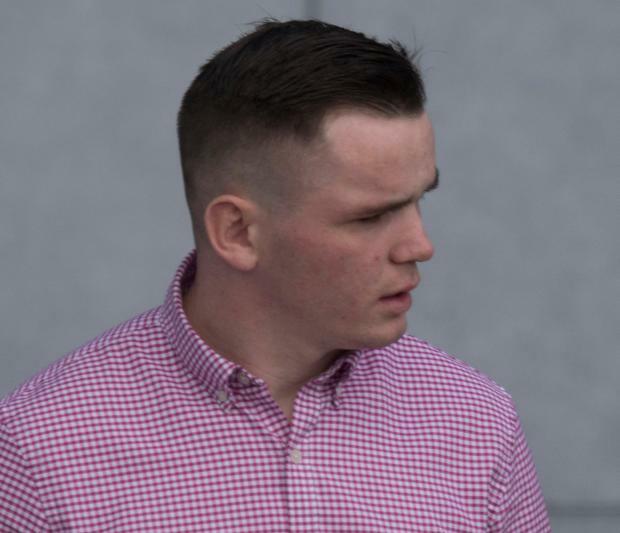 McDonagh (20), of the Big Isle, Manorcunningham, admitted the attack on May 24, 2017. The court heard the defendant had six previous convictions, including incidents of dangerous driving, theft, and public order offences. McDonagh had been ordered to pay the store manager €2,500 in compensation for loss of earnings and also for medical expenses and this had been done. Judge Paul Kelly described the attack as a “disgraceful incident”. He said that despite writing two letters of apology, McDonagh still appeared to place some blame on the store manager for the incident. Judge Kelly sentenced McDonagh to 80 hours community service in lieu of four months in prison.